In 2003, the Palestinian village of Budrus mounted a 10-month-long nonviolent protest to stop a barrier being built across their olive groves. Did you hear about it? Didn’t think so. Brazilian filmmaker Julia Bacha asks why we only pay attention to violence in the Israel-Palestine conflict — and not to the nonviolent leaders who may one day bring peace. A long, detailed explanation that may be helpful. “You take away the money from Israel? No. That’s something we can’t do. Do I like foreign aid? Sometimes, but not every time. Don’t like giving money to our enemies, but I love giving money to Israel. And so there’s a picture there that people realize that, we stop helping Israel, we lose God’s hand and we’re in big time trouble,” – Congressman Dan Webster (R-FL). Webster’s religious argument for assisting Israel echos the belief of Christian Zioniststhat Israel will play a central role in the apocalyptic end-times. One interpretation of the Bible, held by a large portion of Christian evangelicals, is that the return of Jesusrequires that Jews control the “Holy Land.” Over the last two decades, both Israeli lobbyists and right-wing Christians have harnessed this growing belief to build support for Israeli government actions and for unchecked taxpayer assistance to the Israeli military. There have been reports that Obama is losing Jewish support after his clash with Prime Minister Netanyahu last week, but this development is the most significant so far. If a key donor like Saban has decided to break with the president, then there are likely others who will follow suit. 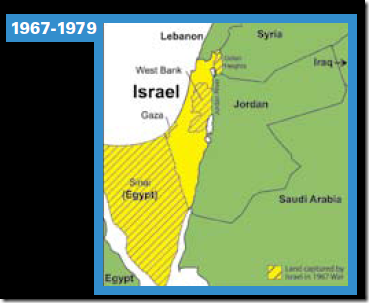 What Exactly Are The 1967 Borders? The Prime Minister and the Secretary agreed on the importance of continuing direct negotiations to achieve our goals. The Secretary reiterated that “the United States believes that through good-faith negotiations, the parties can mutually agree on an outcome which ends the conflict and reconciles the Palestinian goal of an independent and viable state, based on the 1967 lines, with agreed swaps, and the Israeli goal of a Jewish state with secure and recognized borders that reflect subsequent developments and meet Israeli security requirements.” Those requirements will be fully taken into account in any future peace agreement. In the end, it is questionable if Bibi even wants peace. His refusal to move and thus drag his feet angers Palestinians, thus creating reason for him not to move. …the same faction that spent the last decade demanding fealty to the Commander-in-Chief in a Time of War upon pain of being accused of a lack of patriotism (or worse) now openly sides with a foreign leader over their own President. The U.S. Congress humiliates itself by expressing greater admiration for and loyalty to this foreign leader than their own country’s. And because this is all about Israel, few will find this spectacle strange, or at least will be willing to say so. In one sense, the pro-Netanyahu reaction of the GOP is worse, since they spent the last decade accusing anyone who sided with foreign countries over their Commander-in-Chief of being subversive, but in another sense the Democratic reaction is worse, since the President’s own party — especially its leadership — would never, ever publicly criticize him this way on any foreign policy issue other than Israel. In any event, please remember that you must not speak of the immense power of the Israel Lobby lest you reveal yourself to be a conspiratorial hatemonger. I hope that’s clear. “The reality, Mr. President, is that change – thanks to which you were elected, and in which you believe – is the thing that Israel in general and Netanyahu in particular fear most. The reality is that the State of Israel has become accustomed to the present situation and does not recognize itself without it. 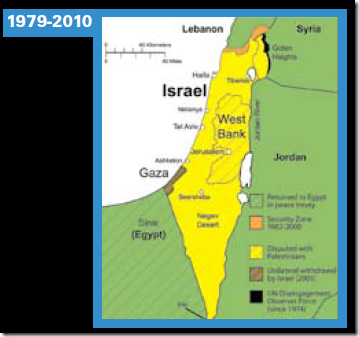 Israel has existed longer with the occupation than without it; it has existed for most of its years with no border and is deathly afraid of change,” – Merav Michaeli. “Obama has adopted in these speeches what might be termed the Mafia Gambit: the implied threat to Israel that either it accepts the ‘1967 Auschwitz borders’ or runs the gauntlet of UN recognition and further western delegitimisation… The fact is that, for all his ludicrous protestations of friendship towards Israel, Obama believes the Palestinians have a legitimate grievance over the absence of their state. He thus believes their propaganda of historical falsehoods and murderous blood libels. He therefore believes it is a just solution to reward murderous aggression. And that makes Obama a threat not just to Israel but to free societies everywhere,” – Melanie Phillips. Think of this contrast: when China’s Hu Jintao came to Washington for a state visit, each of the countries had profound disagreements with the other. (Chinese leadershate the U.S. policy of continued arms sales to Taiwan, much more so than Netanyahu could sanely disagree with any part of Obama’s speech.) Neither China nor America is remotely as dependent on the other as Israel is on the United States. Yet Obama and Hu were careful to be as respectful as possible, especially in public, while addressing the disagreements. High-handed and openly contemptuous behavior like Netanyahu’s would have seemed hostile and idiotic from either side. As it is from him. Senator Marco Rubio writes the love letter. In Rubio’s letter, he sees it as America’s duty to make decisions every time with Israel’s safety first (and by default everyone else’s safety as secondary). Next, he does not mention land grabs as acts of injustice towards Palestinians but gladly highlights Hamas’s terrorist behavior. Why is one form of violence and unfairness essentially better than another form? Taking peoples land is not terrorism but isn’t just. Why is the former always blindly justified? To Engage or Not Engage With Terrorists, Ctd. Peter Kirsanow asks another good slew of questions in related to this discussion. Of course Hamas is a problem, and I have no sympathy either for its terror tactics or for the rabid anti-Semitism and primitive, fundamentalist language of its charter. But research shows that peace can never be achieved by leaving out a major player. Whether we like it or not, Hamas is an integral part of Palestinian society. The smart way to deal with Hamas is to force it to change its position by strengthening Fatah’s moderate line. Hamas is already under great pressure because of the ongoing changes in the Arab world: they may soon be bereft of any power-base outside the Palestinian territories, hence their hurry for reconciliation with Fatah. International recognition of Palestine will be credited to Fatah; and if Israel dramatically expands the areas controlled by the Palestinian Authority, this will further convince Palestinians, that Hamas’ hard-line policies are opposed to their interests. The problem is that Netanyahu has no motivation to maneuver Hamas into moderation, because an extremist Hamas is really Netanyahu’s best friend. A Hamas that moderates its stance and takes the way of the IRA from a terror organization to a legitimate party in a peace process is an existential threat to Netanyahu’s political future. Without a hard-line Hamas, he would be left with no case against a Palestinian state, and he would have to face open conflict with the hard-line right-wingers in his own party and in his coalition in actual moves towards peace. Expect Netanyahu to do everything to torpedo recognition of Palestine; expect him to try to weaken Fatah, Abu Mazen and Fayyad, and thus to strengthen Hamas’ extremist wing. As a result, Israel’s legitimacy will indeed come under ever more fire. But let’s face it: this is good for Netanyahu. No right-wing politician ever stayed in power if he didn’t succeed in frightening his electorate to death. 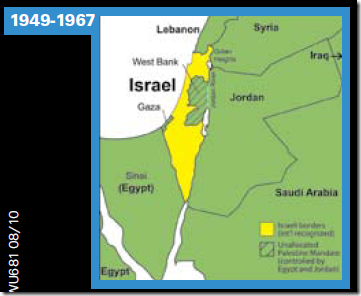 Netanyahu’s real positions are basically analogous the three Arab “No” in the infamous 1967 Khartoum declaration: He says no to a viable Palestinian state; he doesn’t want an agreement with them; and, ultimately, he doesn’t really want negotiations with them. The whole rest, from the Bar-Ilan speech to his latest statement is make-believe to keep international pressure at bay and claim that he really wants a peace agreement. But Netanyahu’s international credibility is at a total low. Foreign diplomats, politicians or journalists I speak to do not believe a word of Netanyahu’s rhetoric about the Palestinians as peace-refuseniks. By bogging down peace negotiations with his endless bickering about settlement construction, he was just trying to buy time. This, together with keeping Lieberman in the foreign ministry, has totally eroded his international trustworthiness. Netanyahu will try to mobilize his last allies, AIPAC and the Republicans in Congress, to put pressure on Obama to torpedo recognition of Palestine. He will give his usual spiel about Israel’s being in existential danger; he will talk about the nature of worldwide terror. Most of all he will warn that Israel’s existential legitimacy is under threat. I don’t believe Obama is guided in these efforts by any principled concern or moral empathy for the plight of Palestinians or the injustice of the 45-year-old occupation; it seems clear that he isn’t ever driven by considerations of that sort. But what he is, at least compared to the prior President, is a competent technocrat, a more calculating imperial manager, able to rationally assess costs and benefits with a ruthless analytical stoicism. And Obama has been surrounded by top advisers — such as Gen. James Jones and David Petraeus — who clearly recognize, and have publicly said, that the festering Israeli/Palestinian conflict, and the (obviously accurate) perception in the Muslim world that the U.S. enables Israel, is harmful in numerous ways to U.S. interests in the region. Especially with largely anti-Israel Arab public opinion starting to supplant easily manipulated, U.S.-serving Arab tyrants, it is vital — for what the U.S. government perceives to be its interests in the region — that Israel reach a peace agreement, and that in turn requires that the U.S. use its leverage to pressure Israel to do things it plainly does not want to do. Regardless of Obama’s intentions here — and that remains unclear — a prerequisite to any meaningful change in U.S./Israel policy is the defeat of those who want to suppress the debate entirely. Those are the people now wildly demonizing the President for his tepid Middle East speech, and it’s why it is incumbent upon anyone who desires real change in this area to defend him from those attacks. At the very least, the notion that defying the Israeli Government is some sort of supreme evil — and, conversely, that loyalty to that government is a solemn duty — needs to be demolished. Obama spoke this weekend to the pro-Israel Lobby The American Israel Public Affairs Committee (AIPAC). Watch it. Obama, in my opinion, came hard out of the gates in this pep-rally type speech showing total support of Israel. Granted, he was speaking to a pro-Israel lobby group, but can anyone after watching this say he is anti-Israel? Are we in the inside only to leave? and the stink of crows. Almighty God for our deaths. “Exodus” by Taha Muhammad Ali. Photo of the Qalandia checkpoint between Ramallah and Jerusalem on May 13, 2011 by Flickr user Omar Robert Hamilton.